You need a holiday self-care plan. The holiday season is tough. It’s tough because holidays bring out ALL the things. And I mean… ALL. THE. THINGS. If you’ve lost someone… that comes up because they’re not there. When you’ve got dysfunctional family dynamics, that comes up because you’re with your family (or you’re not). If you’re suffering with any kind of mental illness or addiction, the loneliness and isolation that engendered comes up because, no matter where you are (with family or not) you feel that wall between you. 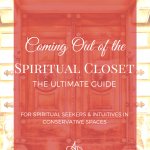 All the things that happened during the year get brought up during the holidays – if someone got divorced or married, miscarried or had a baby, bought or lost a house – all the tension around these big changes comes up during the holidays. So what’s a spiritual and intentional person to do? Below I’m going to share a few tips and tricks to get through with a holiday self-care plan, especially as a person with any kind of sensitivities or desire to stay positive. No matter what your holiday situation, there’s a before, during, and after. You need practices and elements that address your experience for ALL THREE of these parts. If you don’t, your self-care plan won’t be complete and you may end up doing extra clean-up later (I’m speaking from experience!). and heal or resolve anything that did occur despite your best efforts (because let’s be honest – there are things outside of our control! We need this as part of our plan!). 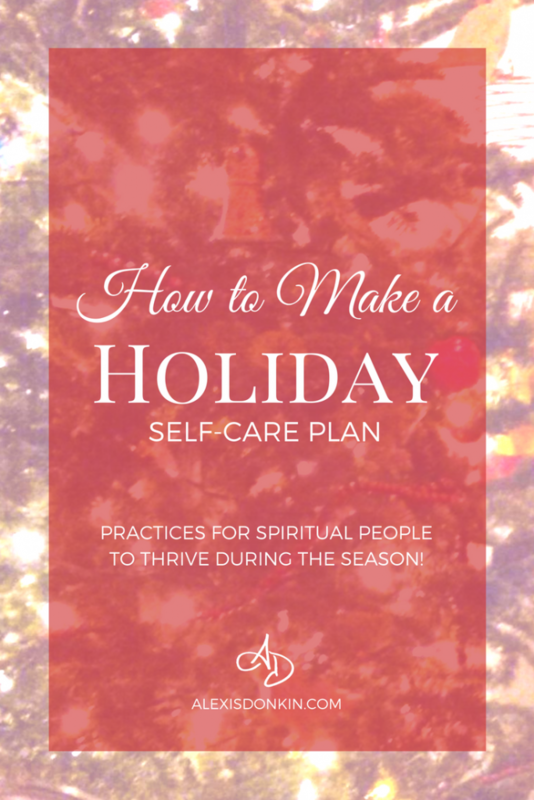 Below I address each of the above pieces of a holiday self-care plan and give you different practices I have used personally as well as suggested to clients. Before, during, and after all the holidays (so this week, obviously, if you’re in the US!) be sure to get some YOU time. This is basic self-care, and especially if you’ve been in a tough situation, spend some time loving yourself. Time in nature – because the earth is feminine and takes even icky stuff and transforms it into beauty. You’ll feel better after even just 15 minutes in a forest or a field! Dancing – this is scientific folks! Dancing boosts your serotonin levels and therefore can boost your mood. I feel better after dancing for even just one song, but if you can do it for 15 minutes or more, you’ll get all kinds of positive effects! Meditate – I know I talk about this all the time, but really, meditation can help you get back to a good place no matter what. Do a simple breathing meditation (get still and focus on your breath for just a minute or two, or longer if you have more time). Cord-cutting – I’ve talked about this tactic before and using it in all kinds of situations. I find this is a really helpful technique. If you’re feeling drained by anyone around you, do this. Do it as often as needed! Grounding – This is another technique I use and is a little more woo-woo. It is, however, incredibly powerful. You can read more about it here. Sometimes, even if you’ve done everything you could to address the difficulty of your holidays, someone does something that triggers all your old thought or feeling patterns and you end up in a blubbery mess in a bathroom. I know. I have TOTALLY been there. This is when you MOST need your holiday self-care plan in place! Some of the practices above will work to heal through things, and others will be less effective. Talking it out and or journaling can also help you navigate your feelings and experience with the holiday. Get someone you trust (a partner or best friend) and talk through your experience. 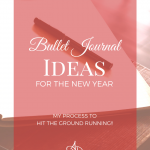 Grab your journal and just write whatever comes into your head until you have processed ALL THE THINGS. After you do that, you may find you are ready to let go of the experience through forgiveness. Forgiveness is AMAZING at helping you heal – not only of the other person, but MORE importantly, of yourself. Check out some techniques to forgive here. Different techniques and practices will work better for different people. The practices in this post are all ones I’ve suggested to clients which helped them find relief (and I have ALSO used them to great effect personally!). There’s no reason you need to dread the holidays or carry holiday hurt around afterwards. Be sure to notice how you’re feeling and take care of yourself as you move through the season. 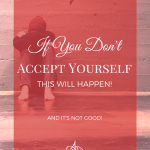 If you want even more help navigating some of these things or transforming your mindset, then you may benefit from my Accept Yourself to Breakthrough Program. It’s a six week group coaching program starting on January 1, 2018 – to help you start your new year off RIGHT! 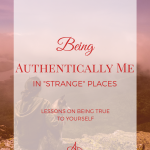 In this program, we’ll go over a variety of techniques and practices you can use to accept and love yourself in your journey as well as lay some foundations to foster breakthroughs in your life! 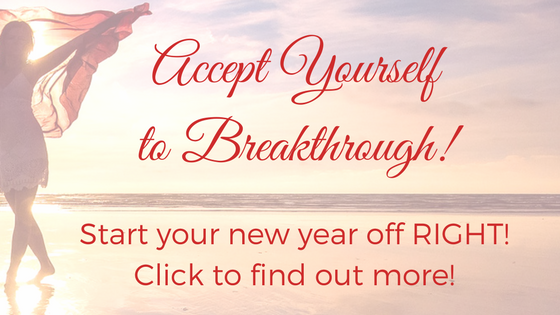 What could be better than starting off 2018 with a breakthrough?! 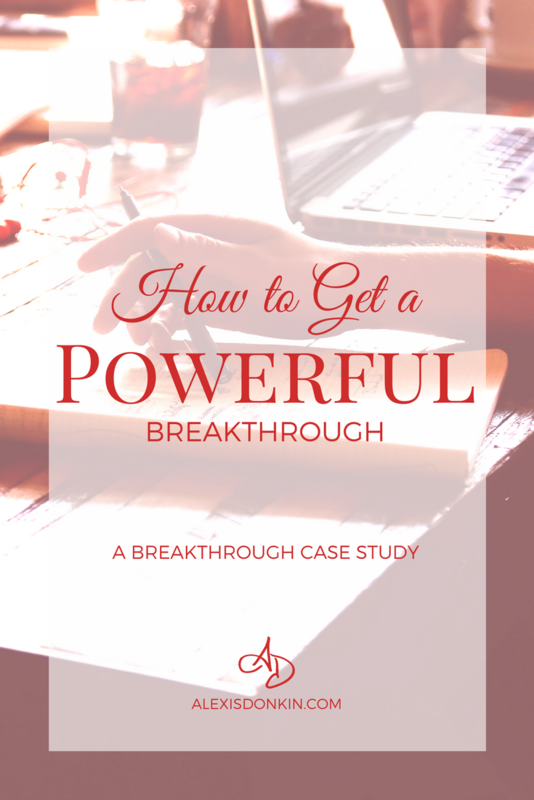 If you want to read more about what a breakthrough can look like, definitely check out my case study with my client here. Ready to claim your spot in the program? Click here!